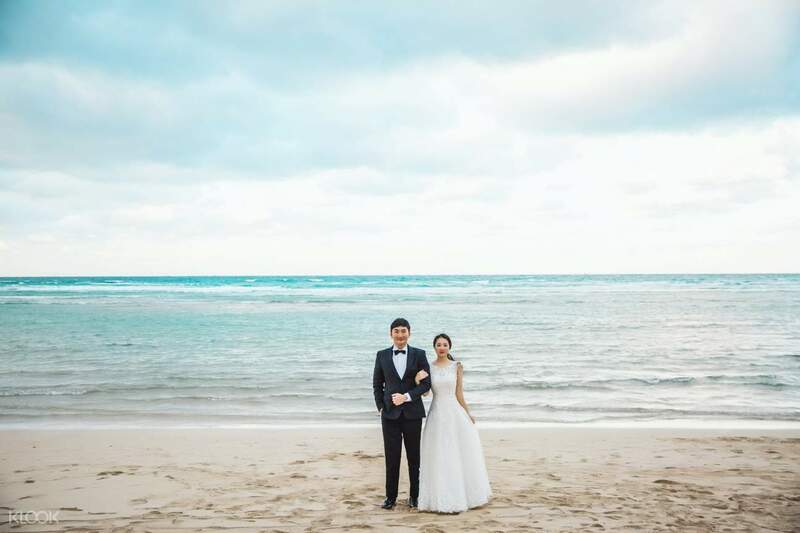 Strike a pose with your partner for life against the magnificent sights of Jeju Island—and keep photos that allow you to relive your union for years to come! Jeju Island is a natural jewel, boasting a number of beautiful natural landscapes. 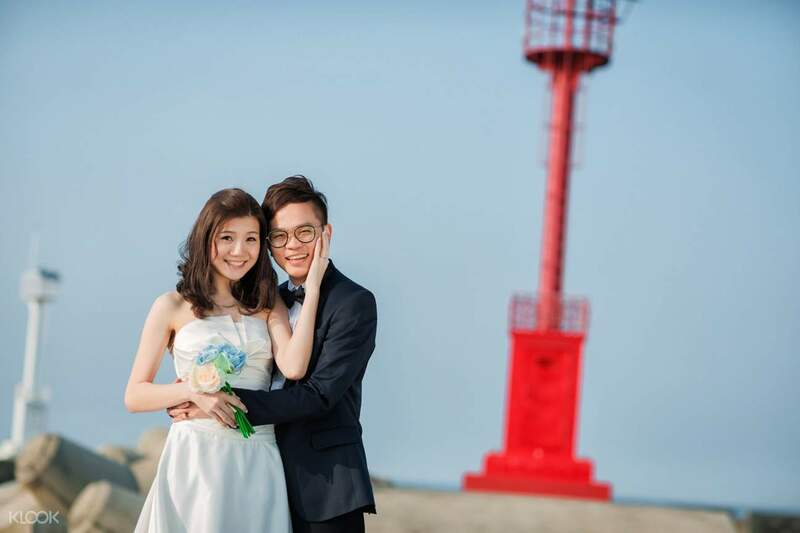 These sceneries shine in pre-wedding photos no matter the season. 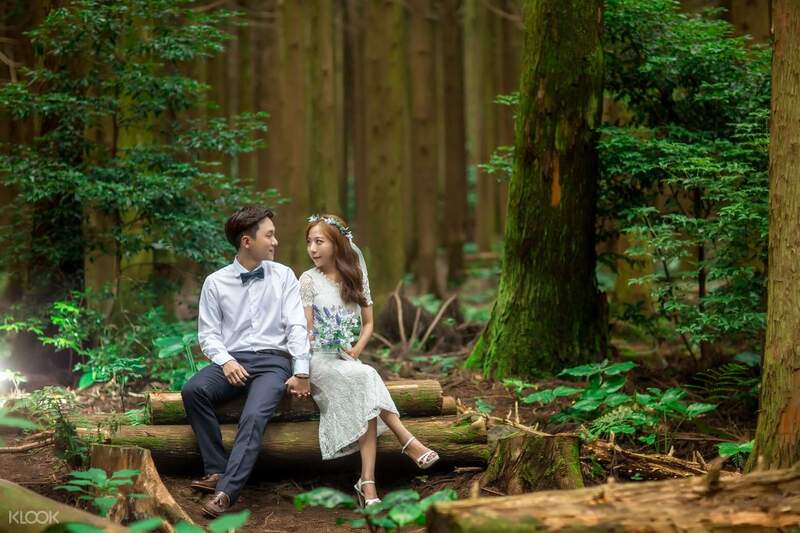 Pose in front of parks, waterfalls, or iconic rock statues, or if you want those photos to be unlike any other, choose the alluring forests, which create a strangely captivating backdrop for your wedding photos. Perhaps you might want to have your photos taken against the island's canola flower fields; the overwhelming sea of bright yellow flowers makes an exceptional backdrop for your pictures that you can't get anywhere else in South Korea! Apart from outdoor photography, this service includes hotel pick up and drop off, dress and tuxedo rentals, and professional hair and makeup service. Between shots, take in the unspoiled beauty of Jeju Island—from the volcanic craters and lush fields to the pristine beaches.